Hyundai Santa Fe Running Costs, MPG, Economy, Reliability, Safety | What Car? Gone are the days when the Santa Fe was a budget SUV choice. This latest model is actually more expensive than a Peugeot 5008, although it is still priced well below premium-badged seven-seat SUVs such as the Audi Q7 and Volvo XC90. A bigger problem is Hyundai’s uncompetitive PCP deals; you’ll spend a lot more a month to drive a Santa Fe than you will many of its rivals, even the premium Land Rover Discovery Sport. CO2 emissions are nothing to write home about, so the Santa Fe will cost you more than a 5008 to run as a company car. And while fuel economy isn’t terrible, its official average of 42mpg isn’t brilliant, either. In fact, our own tests determined that around 38mpg was more achievable in real-world driving. Even entry-level SE trim gets you a fair amount of kit, including 17in alloy wheels, automatic lights and wipers, dual-zone climate control and cruise control. However, we reckon mid-level Premium trim makes the most sense, adding heated seats (front and back), a heated steering wheel and leather seats. Even the most ardent hedonist might feel over-pampered by the Santa Fe in range-topping Premium SE form – it comes with such niceties as ventilated front seats and a panoramic roof. However, it’s too pricey for us to recommend over cheaper Premium trim. Although the latest Santa Fe was too new to appear in our 2018 Reliability Survey, the previous-generation model was found to be the second most reliable car in the class. Hyundai as a brand also finished an impressive 9th (out of 31 manufacturers) in the survey. There’s reason to be optimistic, then, and even if something does go wrong with your Santa Fe, Hyundai provides a generous five-year warranty as standard. The Santa Fe was awarded five stars (out of five) for safety by Euro NCAP. It was found to be better at protecting children in a crash than the 5008, although the Peugeot did score better for adult crash protection due to a poor whiplash score for adults sitting in the back. 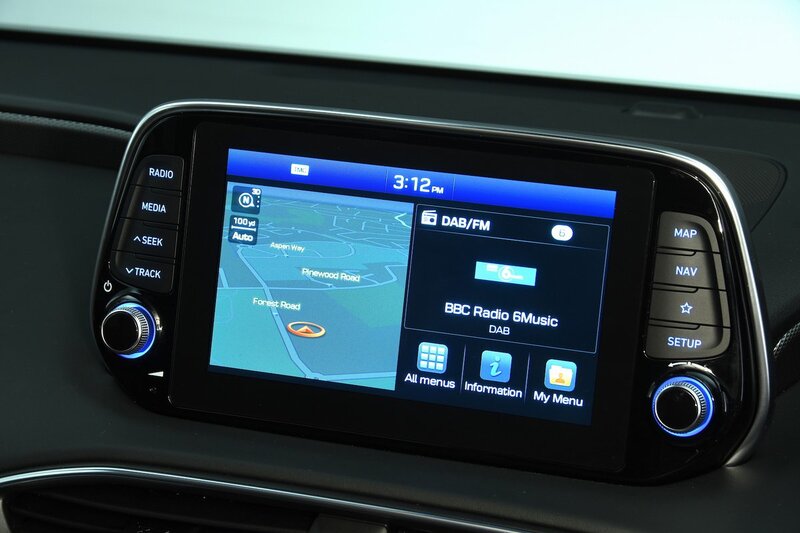 All versions come with automatic emergency braking (that can recognise pedestrians as well as cars), lane-keeping assistance and a system that alerts the driver if he or she is becoming drowsy behind the wheel. Step up to Premium trim and you’ll also get blind spot monitoring and rear cross traffic alert. 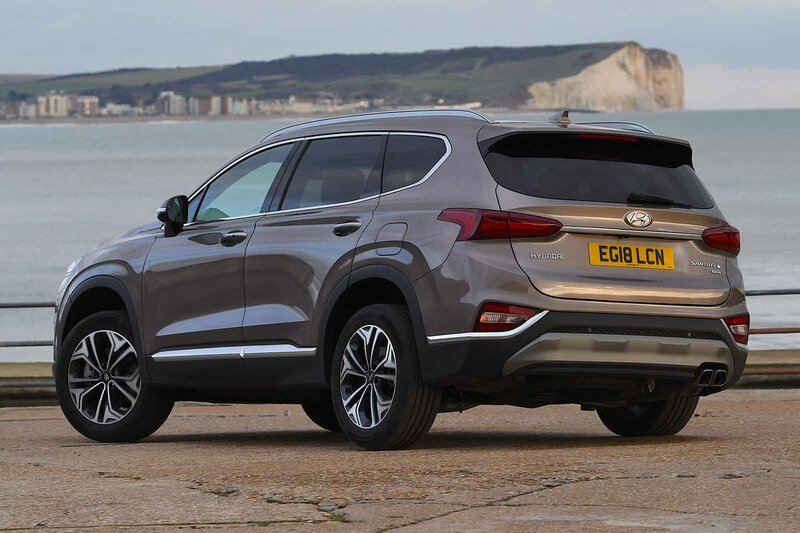 There are five Isofix mounting points in the Santa Fe: three on the front passenger seat and two on the second row of seats.